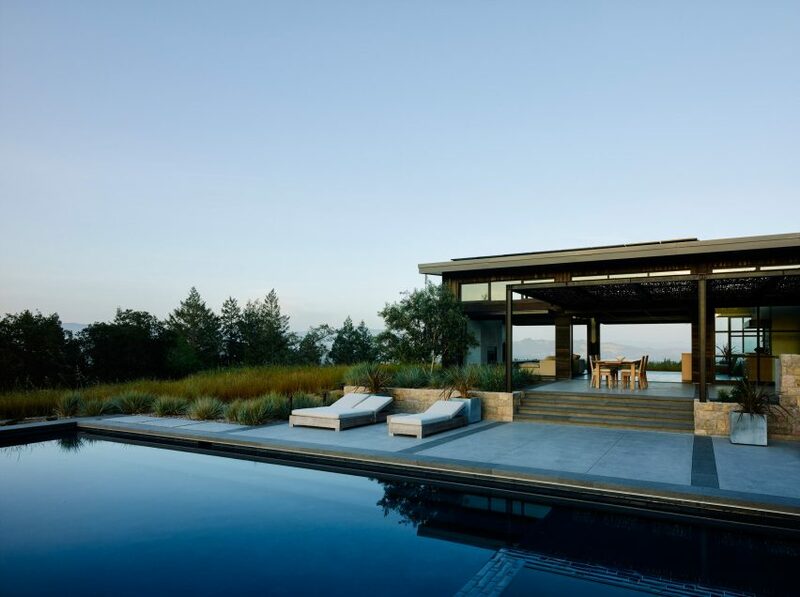 Glazed garage doors surround this wood-clad residence by US firm Feldman Architecture in California’s Sonoma Valley, an area that was recently devastated by wild fires. 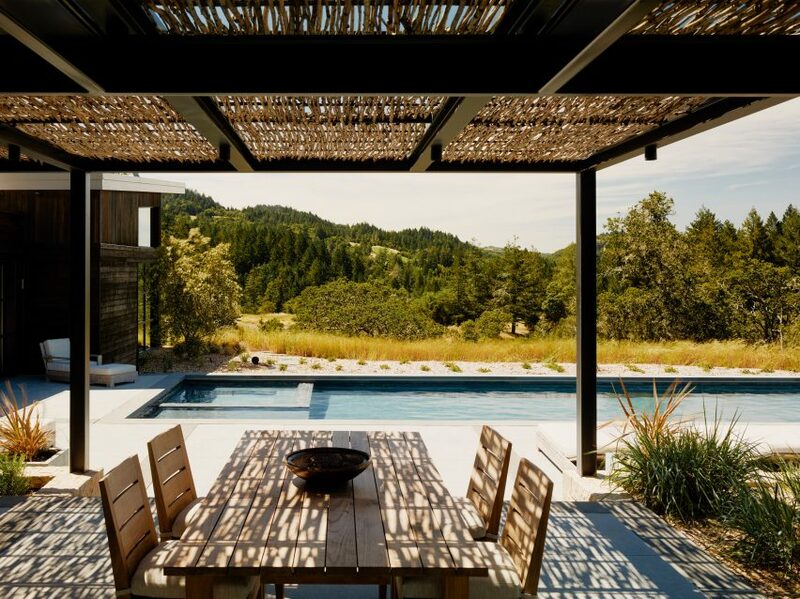 The home is situated on a 40-acre (16-hectare) property in Healdsburg, a small town on the Russian River, in the heart of the state’s winemaking region. The area suffered major damage from forest fires that swept across vineyards and residential neighbourhoods this month, killing 42 people. Reports say the blaze is now being contained. 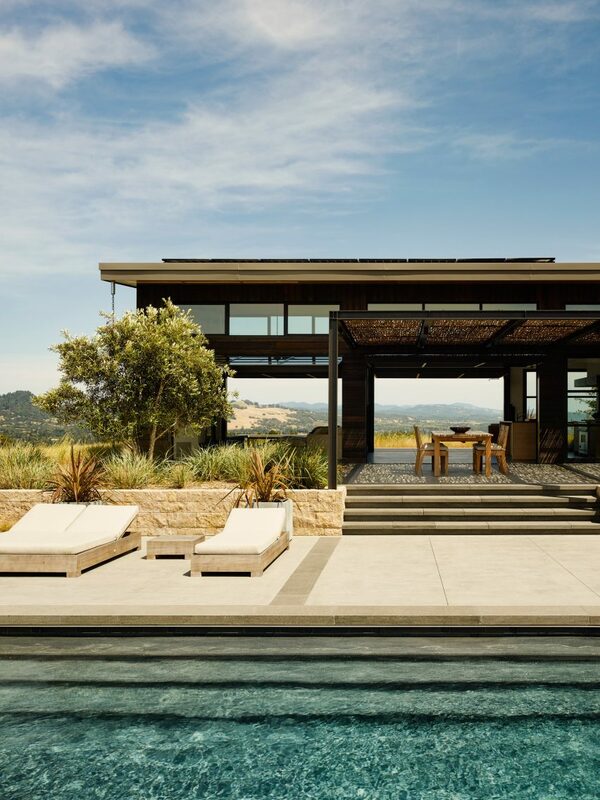 Fortunately unaffected by the wild fires, House in Healdsburg was designed by Feldman Architecture, which partnered with local firm Arterra Landscape Architects for the project. 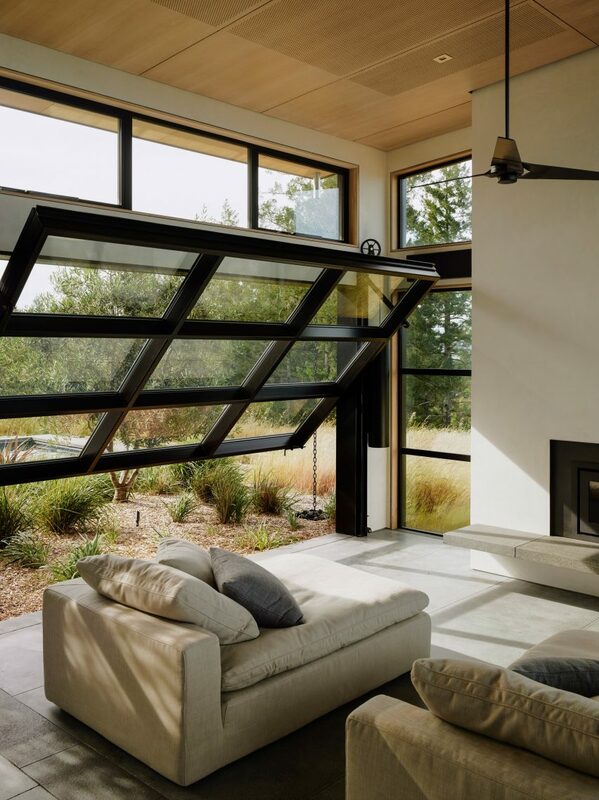 Around the residence, hinged windows raise like garage doors to create an open-air pavilion. 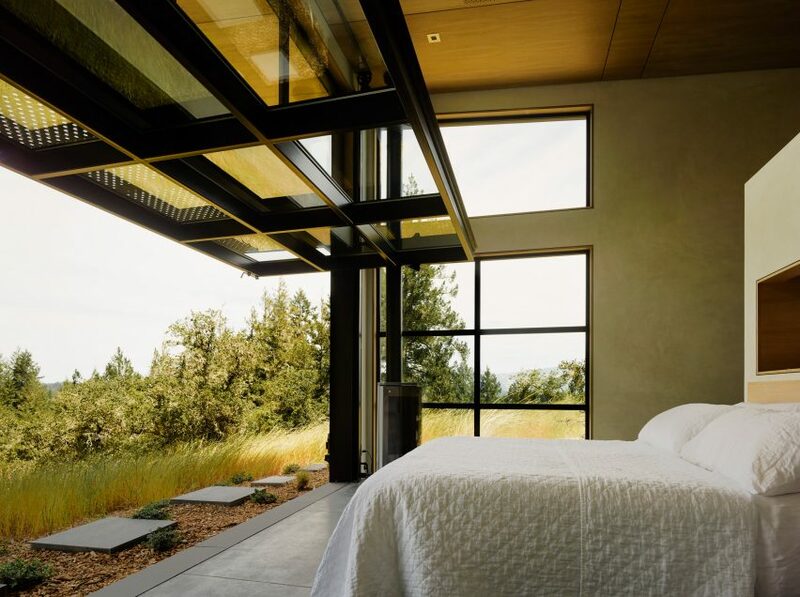 Walls that swing up to open homes to the outdoors are also found at a vacation retreat by Olson Kundig in Idaho, a multi-family house by Nishizawa Architects in Vietnam, and a home with sliding polycarbonate panels by H Arquitectes in Spain. 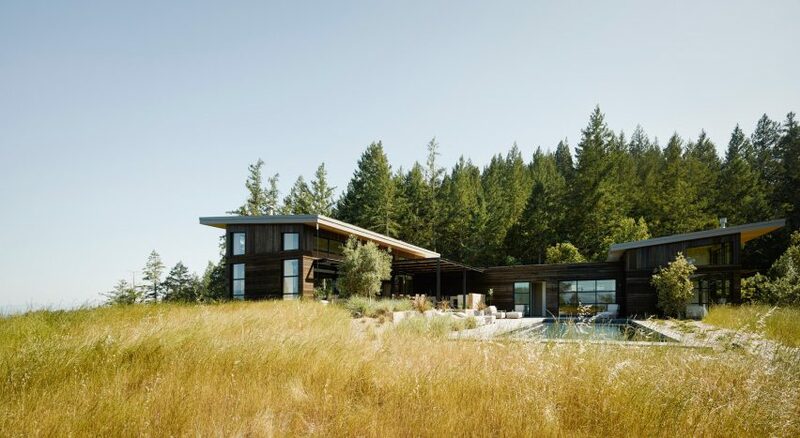 Northern California’s rolling landscape plays a major part in the home’s design. Woodland revitalisation, the extraction of non-native plants, and grasslands restoration were all practiced during the project. 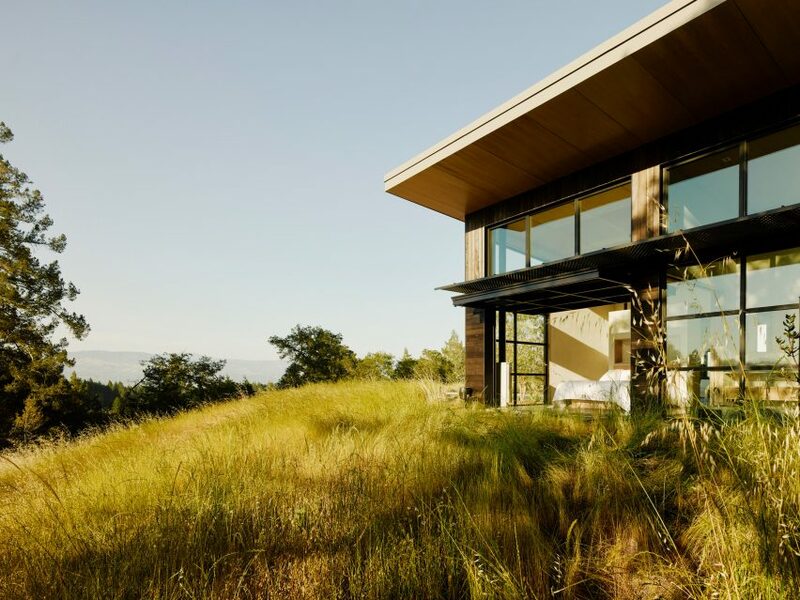 Clad in wide-planked wood, the L-shaped house has opposing living and sleeping wings. 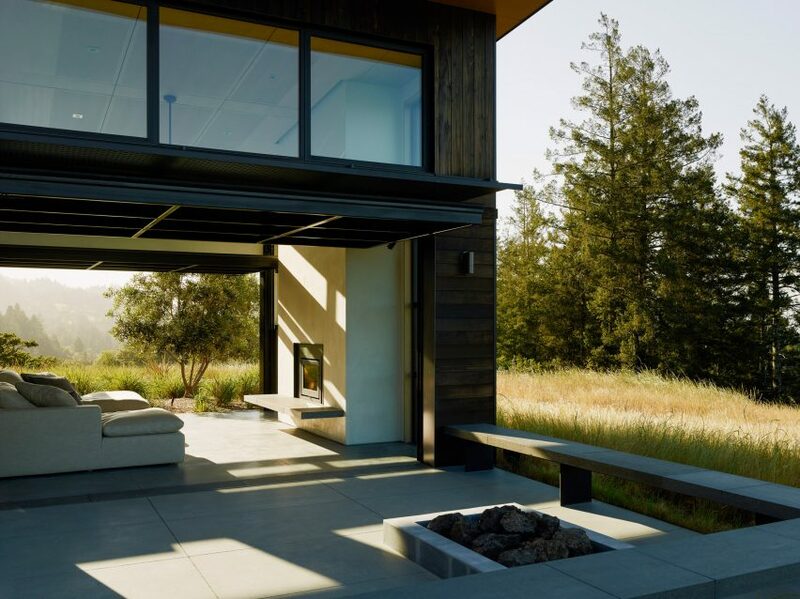 The main living area has access to two separate outdoors spaces: one with a fire pit overlooking the town, and a larger area with a swimming pool and a terrace for lounging. 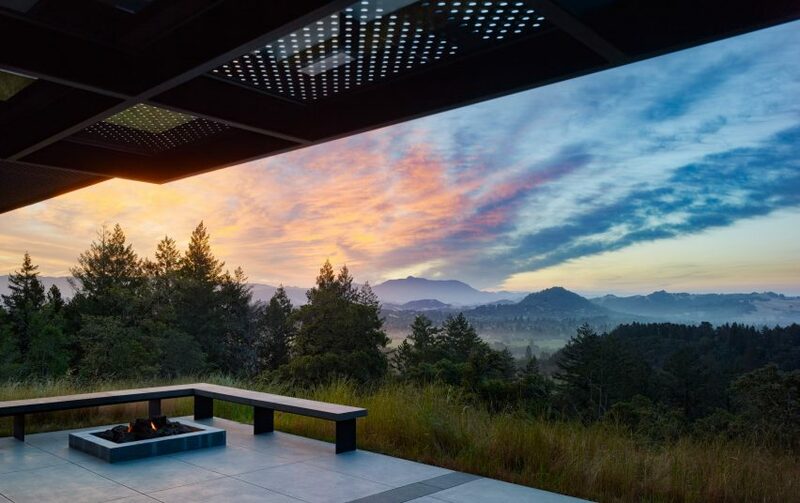 “The mission was to create a rural retreat for a client who loves to entertain,” said the firm. A two-car garage is situated off the kitchen, with a laundry room, master bedroom and en-suite in the perpendicular wing. Inside, walls are painted white, while grey floors and beige furnishings were chosen so as not detract from the expansive views.